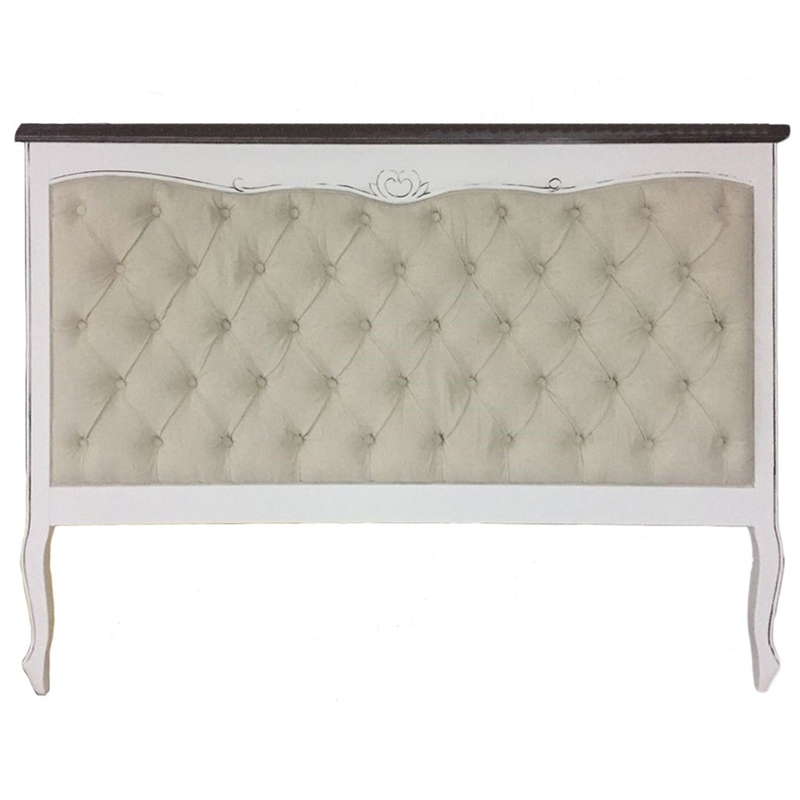 A beautiful new addition to our range of antique French bedroom furniture, comes this beautiful shabby chic headboard. Featuring a wonderful distressed effect with studded fabric detailing, this headboard is sure to impress across generations. So brighten up your bedroom today with this stunning handcrafted piece.